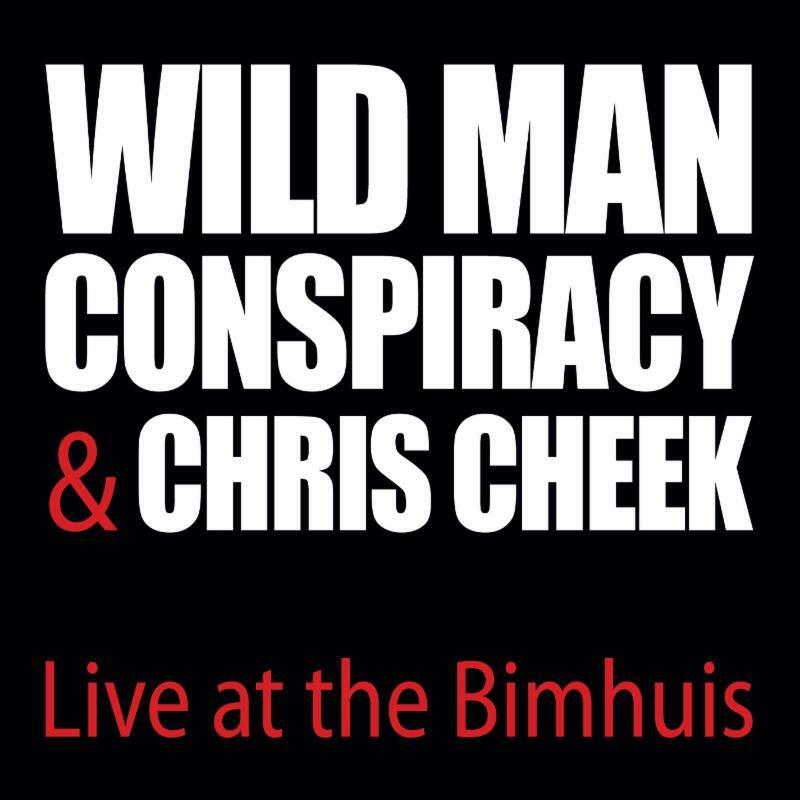 Brooklyn-based Red Piano Records have announced the release of Live at the Bimhuis from Amsterdam based Indie jazz trio Wild Man Conspiracy and Brooklyn based tenor saxophonist Chris Cheek. This third album of Wild Man Conspiracy on Red Piano Records features the group with special guest Chris Cheek in an exciting live setting. The CD was recorded at the group's March 23, 2018 performance at the Bimhuis in Amsterdam, one of the most beautiful venues for jazz in the world. 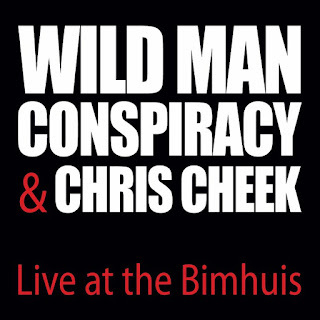 Wild Man Conspiracy and Chris Cheek play eight original compositions on this album. St. Louis born Chris Cheek is one of the most sought after saxophonists in the jazz world today, having played in the groups of legendary artists such as Paul Motian, Charlie Haden, Steve Swallow and Bill Frisell. As a leader he has performed with the likes of Jorge Rossy, Brad Mehldau, and Kurt Rosenwinkel. His recordings have received rave reviews and been praised widely, becoming favorites among fellow musicians and listeners alike. He is also co-leader of the bands Rudder and The Bloomdaddies. Cheek's music encompasses a wide vista, firmly rooted in the jazz tradition with a foot towards the unknown. As Steve Swallow and Carla Bley put it, "On the one hand, he's the very embodiment of gentle, graceful lyricism. But he's unable to resist the urge to subvert. He's a master of the sucker punch; just when he's convinced you that things couldn't be sweeter, he'll play something that jolts you right back to real life, something as direct and succinct as an uppercut. Do not trust this man! Listen at your peril." His flexible, dynamic sound, along with his adaptability and inventiveness makes him a perfect fit for the sound of Wild Man Conspiracy. 1. Strawberry Jam - Strawberry Jam was written for a friend who likes those tiny sweet fruits, and who also listens to Jazz and Pop music. Chris tried to find something that could be enjoyed at breakfast or while driving on the open highway. Perfect for a nice jam too. 2. The Other - This cinematic and storytelling piece is more like a suite dedicated to 'the other'. There's a lot of discussion about 'the other' nowadays, but isn't it so? The other, that's you! 3. Parcelas Desiguales - A contemplation about the fact that few people in the world have a lot - and a lot of people in the world have almost nothing. "Unequal parts" is about this human failure. 4. Volver - After a great tour with Wild Man Conspiracy in Catalunya, "we wanted to return to Spain as soon as possible." A tune full of desire and melancholy, with a glimpse of the stunning Spanish actress, Penelope Cruz. 5. Victor - This tune isn't about the Russian president, Victor Putin, because his name is Vladimir. No one knows who this guy Victor is and unfortunately, Guillermo isn't planning to divulge the secret of this mysterious man. 6. Blues Cruise - Writing Blues Cruise was Cheek's way of exploring the experience of being on the open seas and playing music on a ship. The symmetrical part of the tune originates from working with the reciprocal or mirror harmony and melody of the original idea. Cheek likes to think of it as hearing the same thing above and reflected below the horizon of the water's surface. 7. The Adventures of Evil Pancake and Friends - A critic once said: The aliens seem to have landed in the head of Celano whom thankfully used their influence for he has created a new science. This tune is proof of that once more. Dali meets Monk meets Celano. 8. No More Tango - It takes two to tango. This tune shows what happens when the other isn't around. After all, dancing the tango can't save a relationship.